Fractory.co is working on an on-demand manufacturing platform. Last spring they won a pitching competition at Latitude59 conference, awarded with Nordic Angel Program’s 170K investment and a two-week trip to Silicon Valley and Disrupt SF conference. CEO of Fractory.co Martin Vares shared his experiences with us. Which are your emotions about his trip – what happened there? I stayed at Startup Embassy in Palo Alto – it’s where all the entrepreneurs usually stay at Silicon Valley. During those two weeks I tried to understand the impact of Silicon Valley and the Bay Area on people who go, stay and you can possibly meet there. I also explored if we could benefit from communicating with those people. I didn’t have a special goal for this trip, as we're already closing the seed round. Therefore I just focused on exploring the local ecosystem and the early-stage startups that had gone there. In general, I can tell that everything here in Estonia is just super fine. 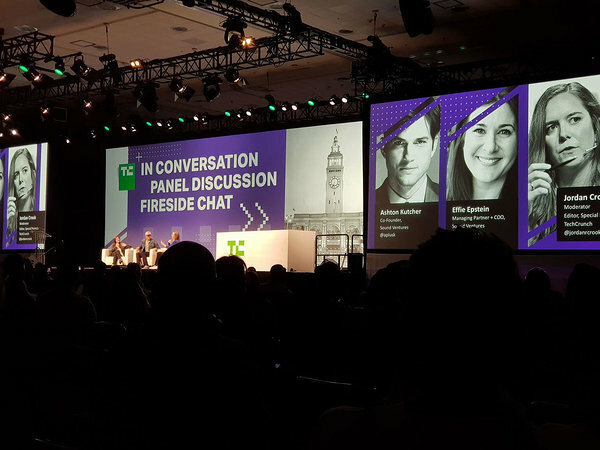 What impression did you get from Disrupt SF conference? Rather bland. The impression of looking around at Startup Alley was rather weak, too. There were a lot of things that have already been done. Everyone was attempting to find something new in the things that already exist – in my opinion, they tried to do everything a bit differently, but no additional value was created. I also met some people who expanded my horizon about this continent’s tech industry. For example, Ashton Kutcher’s performance was interesting. Most people know him as an entertainer, but he actually is a super smart person and investor. I guess he was one of the most rational and honest speakers there. When most of the people there tried very straightforwardly to sell their agenda or product, then his way of communication was rather genuine. Ashton told the same things that I had discovered during those weeks – Silicon Valley is a great place with lots of people and brilliant ideas, but you have to be very alert and sharp enough to break through. What do you think – do we have better and more innovative ideas raising from Estonia? I don’t remember that for instance, on the demo area of sTARTUp Day would have been five exact same things that claim to be different but actually are the same. In Disrupt – of course, there were lots of awesome and successful ideas, but the general impression was rather bland. Of course, I don’t say, that everything there was nonsense. The technology used was powerful and of course, there were many successful companies as well. Did something really awesome catch your eye? Vence.io was a great solution. Their product is a virtual shepherd and activity monitor for cows. A potentially significant positive step for livestock breeders and their animals. But in general – nothing super remarkable. There were some interesting developments in face recognition software for example. A lot of companies were simply offering development power in the field of AI, but it was difficult to measure their quality at the demo area. There were a lot of companies developing deep tech solutions, which is definitely positive. But I didn’t see a single product that would completely change the industry. The general impression was that everyone was doing something a little bit different, but there’s nothing much that could change the industry or our lifestyle. Estonia and especially Tartu are considered to be a mini version of Silicon Valley – what’s the reality? Absolutely. In Estonia, you may not meet Zuckerberg at the café, but there’s a great possibility that you’ll meet the next Zuckerberg here. Palo Alto is very similar to Tartu. It’s quite a small city, but in comparison with other cities, things in there are more organized and the city makes a contribution to the environment. I think that Tartu is a good place for business. It’s a great environment for starting and already operating companies because it’s much quieter than what’s happening inside the entrepreneur’s head. Life as an entrepreneur is busy enough and if you have to work in a very crowded environment, that would be too much. However, Palo Alto’s infrastructure and general living environment are 10-20 years behind us – from bus traffic to local cinemas. We are definitely better off with such small things that concern everyday living arrangements. Especially the bus traffic – I didn’t even want to think about riding a bus because it seemed to me that it could be the last ride of this bus. Palo Alto seems small, but when living and working there, transport takes a lot of time. In this aspect, Tartu is very optimal and human-sized city – all tech companies are maximum three kilometers from each other, which is not a problem by moving even by feet. In Palo Alto, those distances are way longer. As I talked to the people there – they confirmed that Silicon Valley is a great place, but only because of the people who have been in this industry for a long time. It’s a great place for networking, but you don’t want to stay there for more than a couple of years. Traveling to the world from Tartu – is it rather easy or difficult? Actually, it’s not that bad – Tartu City Government is constantly working on improving that. You can easily travel from Tartu via Tallinn or Riga. For example, if you're in Mountain View, you’re not getting much faster to San Francisco Airport than from Tartu to Tallinn. However, the difference is that in the USA, similar trip costs 4-5 times more. So, in fact, everything is fine in Estonia – my summary about Silicon Valley is that if you do not have a definite need to go there, then I don’t see the reason you should go there. Except if there are people or investors you have to meet or the concentration of your customers there is greatest there. So you think it’s better to work in Tartu? Yes. As Fractory is operating in the tech industry and as it usually is for the tech companies, our business doesn’t depend on the location. It's important to be close to the customer if needed, but the more important is to find the environment where it feels good for your company and team.